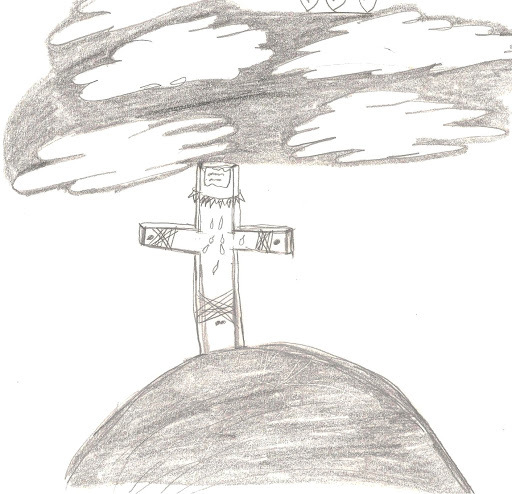 Tears for Jesus by Alexis P.
Today is Good Friday – the day we remember the God/Man Jesus Christ. He is the promised Savior, our brother and friend. May we keep our hearts and minds focused on Him as we reflect on His suffering and death. He endured excruciating physical pain, but worse then that he was forsaken by God the Father enduring the darkness and punishment of Hell in our place. “By His wounds we are healed”! Let us never disregard the huge sacrifice He made for sinful mankind. He is indeed the friend of sinners. He loves us with a perfect love. "Try it, You’ll like it!"